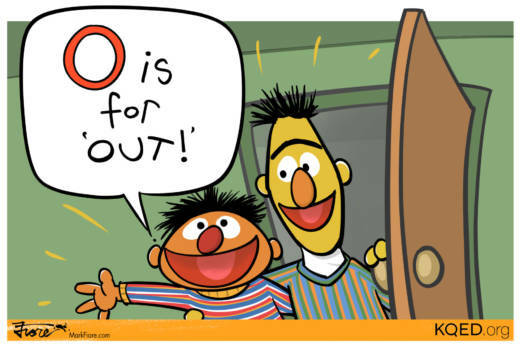 Bert and Ernie were outed by Sesame Street writer Mark Saltzman, although Sesame Workshop — the nonprofit behind the renowned children's show — said, "they remain puppets, and do not have a sexual orientation." Saltzman told Queerty that he based his writing on his relationship with his longtime partner, film editor Arnold Glassman saying, "I don’t think I’d know how else to write them but as a loving couple." Bert and Ernie have lived together for 49 years.